Here’s what’s happening in the world of television for Sunday, May 13. All times are Eastern. Silicon Valley (HBO, 10 p.m.), Barry (HBO, 10:30 p.m.): Two HBO comedies wrap up tonight after exemplary seasons. 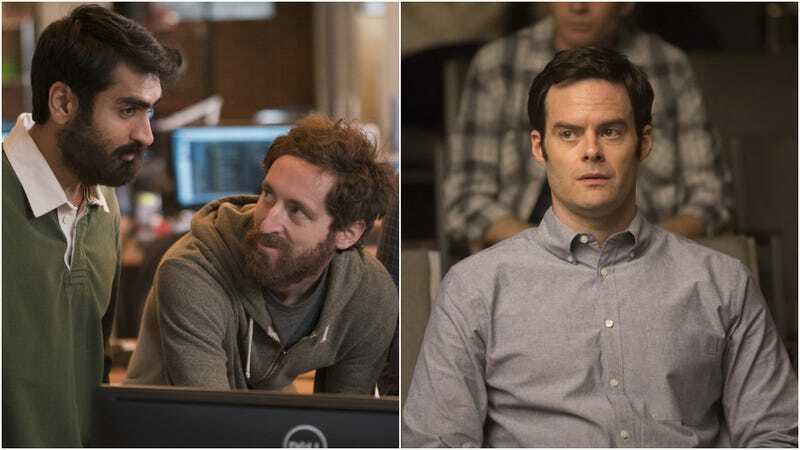 Silicon Valley only seemed to thrive in its first post-T.J. Miller season, while Bill Hader’s freshman series enthralled with its story of a hit man who catches the acting bug. Les Chappell says of SV: “While the show continues to have issues in its advanced age, it’s still working off of a sturdy foundation with its talented cast and its perverse sense of humor.” And Barry reviewer Vikram Murthi gave last week’s episode an A, saying, “At first, acting was a way for Barry to lose himself on stage. It was a way for him to escape the pain of his job. But now he realizes that it’s the pain he so desperately tried to hide that gives him the confidence to excel.” Both reviewers will be on hand to bid these series a reluctant temporary farewell tonight. Vida (Starz, 8:30 p.m.): Danette Chavez says that Vida “offers a captivating twist on TV’s immigration and gentrification stories,” as it explores the story of two sisters who take over their mother’s East Los Angeles bar after her death, only then discovering that she was married to a woman. Danette writes that Tanya “Saracho has helped create a one-of-a-kind show here, one that balances its humor and social commentary with deep dives into grief and change, set against the backdrops of gentrification and immigration. As overly ambitious as that sounds, Vida mostly nails it, thanks to the team in front of and behind the camera.” So check this series out, and while you’re at it, take a look at Danette’s great essay about the show.